Have you ever sat back and looked around your home and thought, “WOW, these walls could use a fresh coat of paint?” Or perhaps you’re in the process of purchasing a new home and the wall paint is simply not your style? Well, no matter what the situation is WOW 1 DAY PAINTING can whip your walls into shape in just one day. Sounds crazy, right? Yes. That’s what we thought until we sat down with WOW 1 Day Painting to better understand their business model and how this could ever be accomplished. 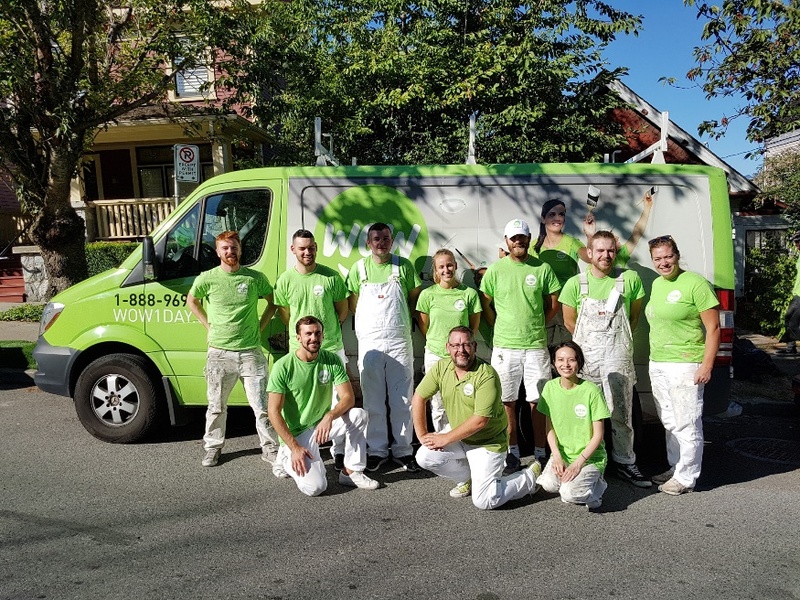 It all started in 2010 when Brian Scudamore was looking for a company to paint his entire home and he ran across an ad that caught his eye: a painting company claiming its team could paint an entire house in only 1 day. Although skeptical, Brian decided to give them a try. On painting day, Brian left for work in the morning after welcoming the painting team into his home. When he returned that evening, the first word that left his mouth was “WOW”! And that’s how WOW 1 DAY PAINTING got started. WOW 1 DAY PAINTING is not your typical painting company. Aside from their service that prides itself on speed + quality, WOW 1 DAY PAINTING promises its customers four key things that ensure their customers’ experience will exceed all expectations. In a highly fragmented industry, WOW 1 DAY PAINTING has created a niche for itself. Not only that, but they are providing a proven business model to assist others in starting their own business and becoming highly successful WOW 1 DAY PAINTING franchise partners. Low Overhead /Inventory. 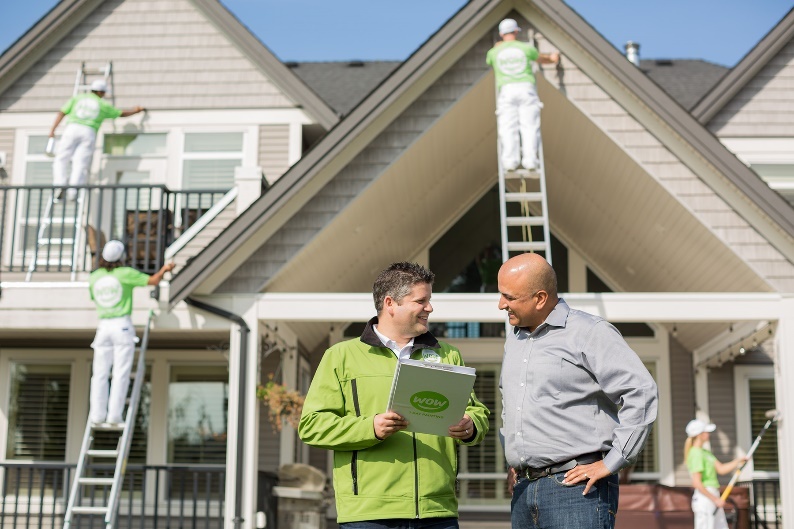 Given WOW 1 DAY PAINTING is a home-based franchise concept, franchise owners do not need to worry about office space or lease payments given they can manage their mobile team of painters from the comfort of their own home. Revenue Potential: The painting industry is valued at nearly $40 billion annually, with 4% growth year over year for the past five years. Not only that but with the average paint job produces over $2,800 in revenue and with 70% of jobs completing in one day, there is significant revenue potential with WOW 1 DAY PAINTING. Fast Ramp-Up Time. From the time you sign your franchise agreement, you can be fully operational within a couple of months. If you are someone that has been downsized from your corporate job or needing to replace a previous income quickly, this is a perfect concept for you. Training / Support – WOW 1 DAY PAINTING provides a full, 12-week start-up program, which has been priceless for their franchise partners. The management team at WOW 1 DAY PAINTING appreciates that this may be a new venture into entrepreneurship for many and is there to guide their team through the challenges and opportunities of being a new business owner. Marketing & Back-End Systems Support – Franchise partner’s love that their investment in the brand also includes tried-and-true in-house marketing support to promote their business, an online booking system that is available 24-hours a day, and an established cloud-based Customer Relationship Management (CRM) program to manage all client data. Are you looking for a growing, work-from-home business? We could go on and on about WOW 1 DAY PAINTING and why we, at the FBA, believe in the brand and the opportunities it provides new business owners. Instead of doing so, we’d love to have a conversation with you. If you’ve got grit, love to lead people, value integrity and exceptional customer service, are a strong communicator, can think on your feet, can see the positive in every situation and are ready to be hands-on and build a business from the ground up, then WOW 1 DAY PAINTING could be the perfect fit for you. Minimum financial requirements include $50k liquid cash and a $75k minimum net worth. Total investment range: $65,000 – $123,500. Give us a call at 888-317-7429 to explore your franchise options! We’d love to be your guide through this process.